Antonio Conte is yet to reach a settlement agreement with Chelsea, but that hasn’t stopped speculation linking him with his next job. The Italian tactician left Stamford Bridge at the end of last season, despite having only been in charge for two years and having delivered a Premier League title and an FA Cup. Instead, he was replaced by compatriot Maurizio Sarri, while the Daily Mail report that Conte has continued to be involved in a legal battle with Chelsea over a severance package given he had a year remaining on his contract with the Blues. It’s added a tribunal will now take place to try and resolve the matter, but reports of Conte perhaps lining up his next job continue to circulate. According to Calciomercato, via the paper edition of Tuttosport, it’s suggested that Inter chief Beppe Marotta will make a change on the bench this summer to replace Luciano Spalletti, and Conte is emerging as their primary target. The Nerazzurri continue to struggle this season, as they’ve been dragged into the battle for a top-four finish in Serie A despite having loftier ambitions at the start of the campaign to compete with the likes of Juventus and Napoli for the Scudetto. They’ve also crashed out of both the Champions League and Europa League, and so if Spalletti can’t deliver a top four finish, it has to be said that the chances of him staying look very bleak. That is where Conte could come in, assuming that all is sorted out with Chelsea by then, as he has proven his pedigree at the highest level in management. 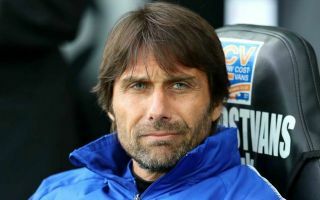 Aside from his success at Chelsea, the 49-year-old impressed as Italy coach at Euro 2016, while he won three Serie A titles at Juventus between 2011 and 2014. In turn, he could be a brilliant appointment for Inter to get them moving in the right direction again, but time will tell how the situation with his former club plays out first.